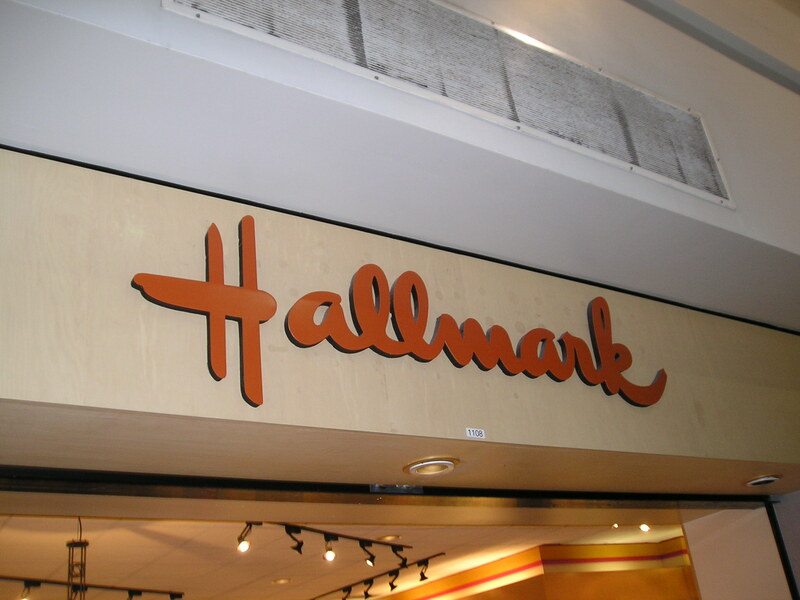 Above is a carved, High Density Urethane sign (HDU) made for the Hallmark Gifts Store, in a mall. This sign feature individually carved script letters with outlines raised. The letters are painted with bright automotive-grade enamels and clear-coated twice.